Hi Chicky - thanks for stopping by my blog. I love your R for Resilience - it's one of my favourite words (and attitudes!) I lost my resilience a few years ago and worked really hard to get it back again. To be able to let life be what it is, and still smile every day is what resilience is all about for me. Interesting post, Chicky. Those 10 points are quite thought provoking. I've always felt I was fairly resilient but I'm well aware that there are some things it takes me a lot longer to get over! This is one the most comprehensive posts on resilience I have read..You have it all covered. True, resilience does lead to happiness! Well written! The happiest people do seem to be the most resilient. Conversely the least happy seem rooted in the past, unable to move forward. Excellent post! For me, sleep is the key to resilience. That and my writing. If I'm not writing, I get what I think of as "emotionally congested." Happy A to Z! It is the resilience that makes us successful and move forward in life! I like all the points you described here! Excellent post. Resilience is the opposite of rigidity and, as you point out, is all about flexible and adaptive thinking and behaviors. In New York City, where I live, we are known for resilience -- which has helped us through many a crisis! Another great post, Chicky. I've been enjoying your series and how they're all connected. Resilience is definitely a trait that's needed in this life. I'm better than I used to be. 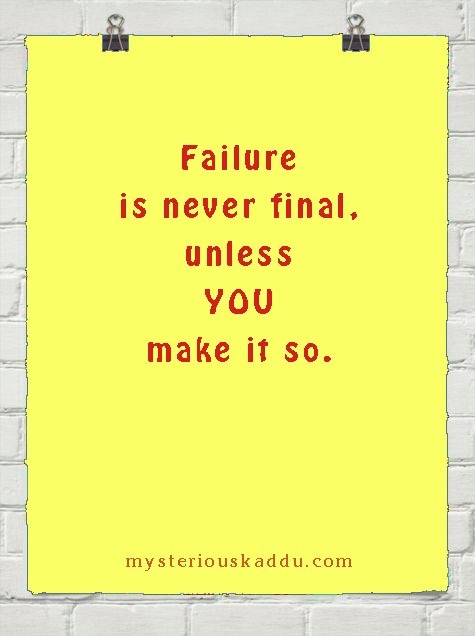 I used to take failure so personally and wallow in self pity for ages. Now I bounce back quicker. I'm also more content with myself and not so worried about what others think of me. Things will never be perfect and there will always be bad stuff that happens but I will get through it somehow. I thought about how many of these characteristics I have - not enough, is the answer. On the other hand, my mother in law, who is a 3 time cancer survivor - she has most all of these traits. I think there is something else... DNA :D.... Its in born in some folks plus all other qualities you mentioned... The rest of us learn it the hard way... Sigh! Brava! I love reading different posts on the same topic. The diversity is so much fun to read. Time to go read some more. Thank you, Leanne. I suppose, the fact that we even try not to drown, is a sign of our resilience. Definitely that, Debbie! It sure could be a lot worse! I have usually been a bouncy sort of person, except for a few years in between, when I lost my footing, due to being stuck in an extremely negative social circle. Recovering my normal self here in Jaipur now. LOL! That too, I guess, Jaish! For me though, it's mostly social network. Too many years in an extremely critical environment makes you question your self worth. Hello Kaddu, I totally agree with this. For some like me at one point all is going hunky dory, and the very next moment all hell breaks loose. It's like I'm in quicksand. The only way out is acceptance that I cannot do everything. Be calm and then find my way out! Such important points on why resilient people are happier...it's by choice! I'm resilient and not the kind to wallow in self-pity. I always remind myself that there are others less fortunate than I am, so why act like my whole world is coming to an end? There are people without basics like food or shelter, and they face other setbacks too, but they are very resilient and bounce back...every time! Nice to meet you via the A to Z Challenge. 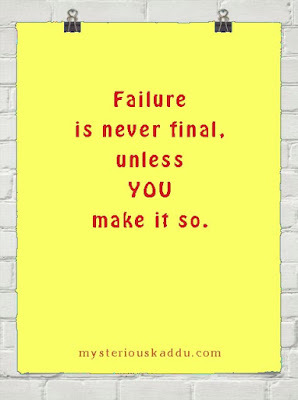 Love that quote - failure is never final unless you make it. Bad times fall on everyone at some point in each life. But dwelling in that for too long is very detrimental. Good post. Excellent summary and work plan for leading a good life! Nicely presented. It does feel like quicksand, Lancelot! Yes, that works every time... when we think about people less fortunate than us. It always brings us back on our feet. And sooner or later, the bad times DO pass. Right Suzy? This is quite a detailed post on resilience. I admire people who are able to pull themselves out of their doldrums through the grit of sheer resilience. Their strength is admirable. Oh it will, Sreesha! That's how I felt when I realized I am resilient too! This gave a lot to chew on. The thing that gets me going is the belief that 'Everything will be okay in the end. If it's not okay, it's not the end'. And I have experienced it so many times... it does gets ok in the end. True, Shilpa. It does get ok in the end. That's how life is. We just have to hang in there.